This was 1 of the outfits that I wore last weekend. 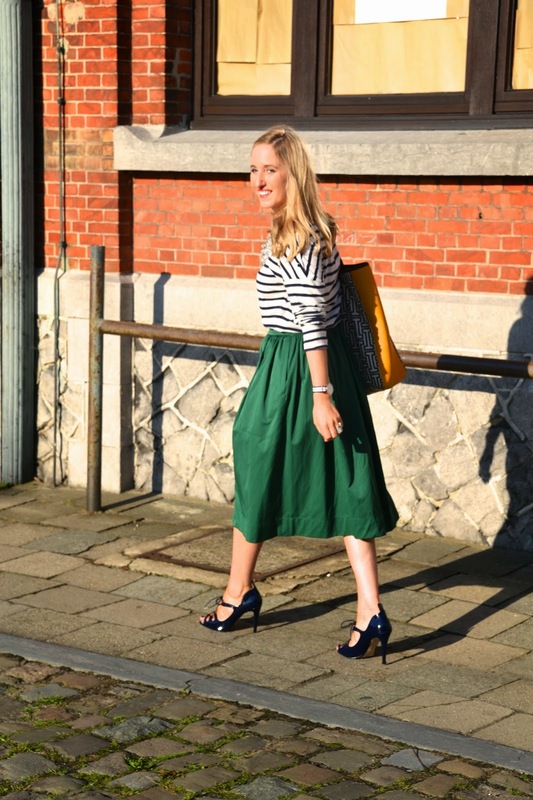 My new emerald green midi skirt has quickly become a fashion staple in my closet. 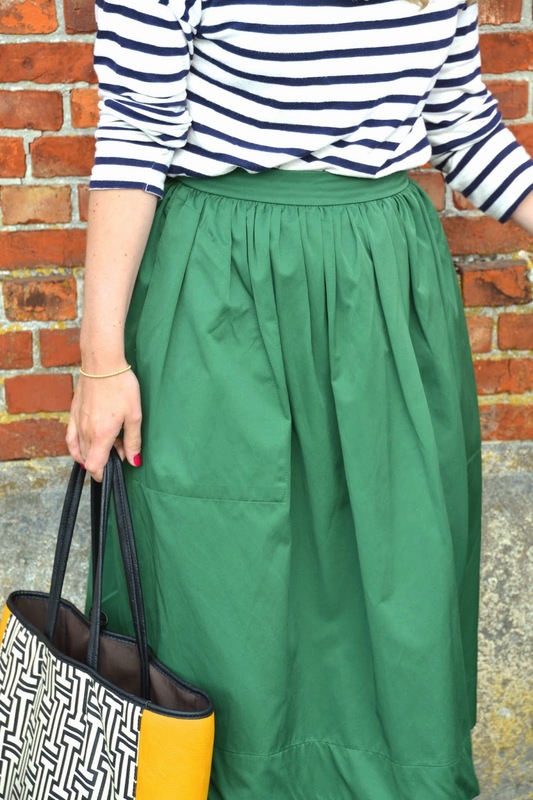 I love the material, the deep green color and the flow that this skirt has!! prachtige rok! hele leuke outfit!